Tandoori Masala can be used in curries. 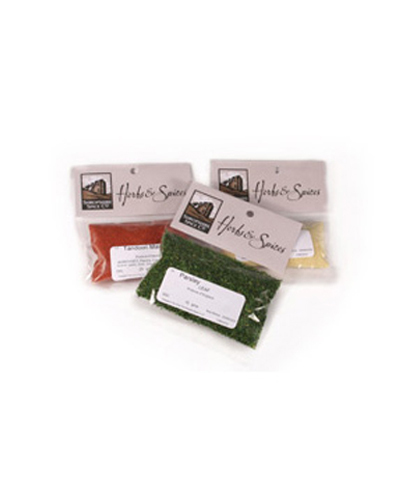 Tarragon French goes well with fish, meats, stews and soups. It is also popular in pickles, relishes and sauces. Thyme Leaf is very popular in fish sauces and soups. It can also be used with lamb and egg dishes. Turmeric is very popular in Indian dishes and curries. Wild Sage and Roast Onion wholemeal stuffing mix is a family favourite. This is perfect with Chicken, Pork or Turkey. 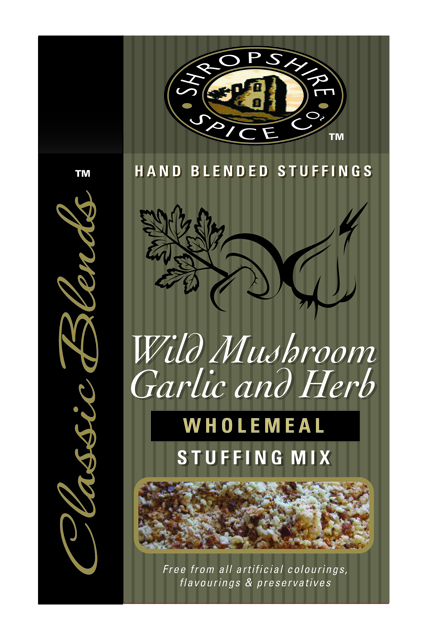 Ingredients: Wholemeal Breadcrumb (Whole Wheat Flour, Salt, Yeast), Wholemeal Rusk (Whole Wheat Flour, Salt, Yeast), Roasted Onion Flake, Onion Flake, English Sage, Wild Sage, Onion Salt, Yeast Powder.